sometimes you need to get the password from your hospital IT people). 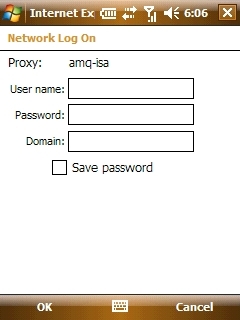 the name of your hospital's network. appears when the connection signal icon in the upper tool bar is tapped. your device is connected it can serve as a modem for your laptop! Windows Mobile device saving the wireless or GPRS bills. know your device might be lost tomorrow! before the device takes you the more expensive GPRS connection. may need to utilize his/her device to the maximum potential. task of getting your device online.